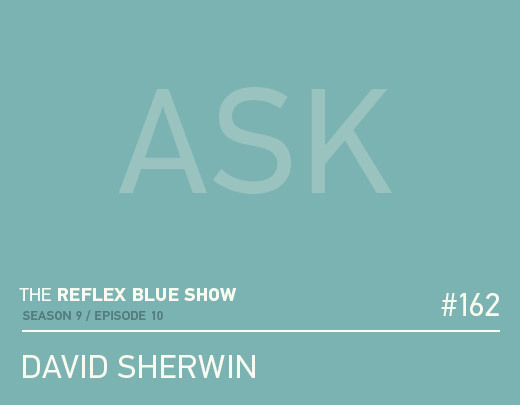 David Sherwin joins me for the last of the six interviews recorded at HOW Design Live in Atlanta. As one half of the newly formed The Sherwins LLC, we talk about building teams, working with teams, and going out on his own. Last time David was on the show, he mentioned that he did some research on the podcast before agreeing to be a guest, and was super helpful in his assessment that we didn’t have any good way for visitors to find older podcasts (when you start a podcast, you just have them listed one after another, who knew we’d be around long enough to have anything to actually search for). Anyway, I did realize that David Sherwin was much smarter than myself, this made a lot of sense, and I took it to heart. I then went on to build (and maintain) a complete list of guests (seriously, huge thanks to all of the super talented folks who have recorded with me over the years, the show would not be the same without you), as well as a list of shows per season (yeah, I guess I’ve been recording a while now), and our ‘host’ favorites (if you’re new to the show, these are the ones we liked recording the most). So, thanks David, for being on the show again.